Is there a particular reason why the software that comes with any piece of hardware for your computer is lousy? The first thing I did when I bought my current digital camera was throw away the disc with Canon's software on it. No thanks. Today I broke down and purchased a copy of VueScan. I had finally had enough of wrestling with HP's terrible scanning software. If you had patience the final product was OK but for some reason each slide scan took forever. Was really put me over the edge was that the updated version of the software was worse than the original. Since I have the new software I have been scanning all day and it's been a joy to use decent software for once. 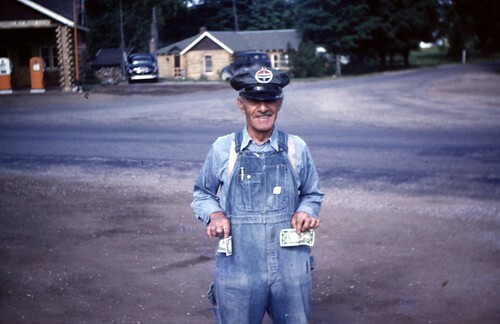 I came across another new favorite in the batch of slides I bought that were taken in Michigan in the early 1950s. His name in George Sparks. And this is cool. 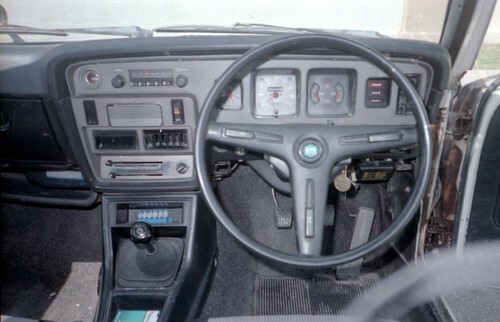 The interior of the car I drove in Okinawa in 1988-9.